Saving and storing your WeChat messages makes it easier to access them for future purposes. It also helps you to save memorable information that you would not wish to lose. This article therefore explains 4 tips and tricks about iPhone WeChat messages you need to know. Tip 1. Where Are My WeChat Messages Stored? Tip 2. How Long Can I Save My Chat History on iPhone? Tip 3. Can I Use iTunes or iCloud backup WeChat messages? Tip 4. How to Get Back Deleted iPhone WeChat Messages? 1 Where Are My WeChat Messages Stored? The chat history of your device is stored in an app on your device. Therefore, your chat messages will be stored entirely into the app as long as the app is not uninstalled from your device and so long as your device has sufficient space for storage. Therefore, this means that when you start using another device, your chat will not automatically transfer to the new device. However you can retain your chat history to that app even when you change your SIM card. If you would wish to move your chat history to the new device, you can do this by using the Chat Log Migration Feature; Me >Settings> Chat Log Migration. 2 How Long Can I Save My WeChat History on iPhone? Saving your chat history will depend on the storage space in your device. As long as the space is sufficient, then there is no time limit on how long you can save your chat history. However, you should keep in mind that the chat history is saved in an app and anytime you delete that app then your chat history will be lost. Therefore, if you do not delete the chat app and as long as you have enough space in your iPhone, you can save your chat history for as long as you have that iPhone. 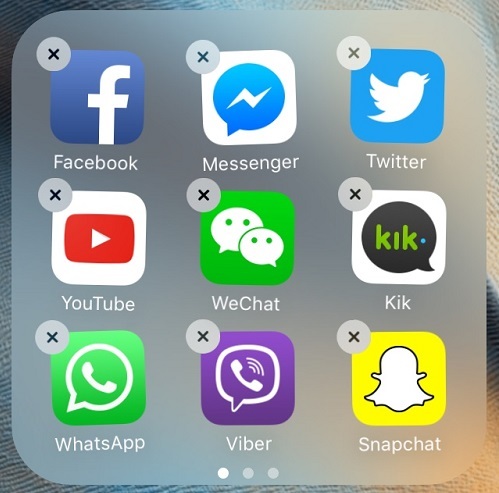 In case you would wish to delete the app or in case you want to start using a different device, you should backup and transfer your chat history. 3 Can I Use iTunes or iCloud backup WeChat messages? You can backup your WeChat messages through iTunes and iCloud. In case you want to move your current messages to a different device or maybe you want to reset your device, you can save your WeChat messages in the iCloud backup. For you to save the messages, you can do it manually by going to Chat settings then you select chat backup and tap “Back up Now”. You can also do it automatically by tapping “Auto Backup” and you then select the frequency of your backup. iTunes is only essential in backing up the entire data of your device. This means that when using iTunes, you cannot choose what you want to backup. Then for you to backup your data you open iTunes and then connect your iOS device to your PC. On the upper right corner of the iTunes window, you will see a button displaying iPhone or iPad, depending on the device that you are using. Click that window to select your device and detailed information about your device will be displayed. Then a backup choice will be displayed below the window of your pc. Choose “this computer” to do a full backup of your iOS device. You can use iMyfone D-Back iPhone data recovery Win or iPhone data recovery Mac to recover lost WeChat messages in your iPhone. This tool allows you to get back the WeChat that has been lost from your device without backup or even extract the WeChat messages from iTunes or iCloud backup. Having the ability to recover 22 + file types, then it gives you a chance to trace your WeChat history and recover the whole of it or you cans selectively recover only the information that you need. All you need to do is download the software if you do not have it and launch the recovery process, which takes a few minutes. 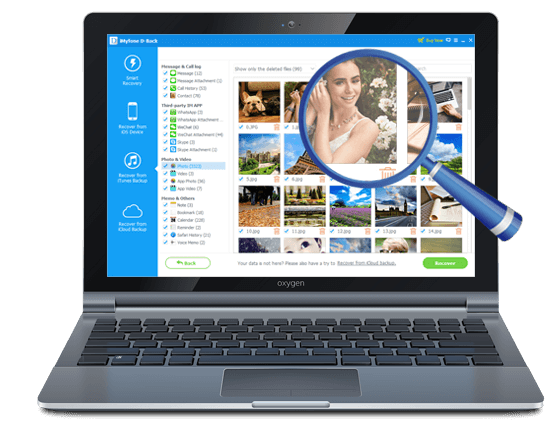 It supports the recovery of a variety of files, approximately more than 22 files from the iPhone, without a backup. Examples of supported files include WeChat messages and attachments, WhatsApp history, videos, photos contacts, notes etc. It also supports the extraction of data from the backup system such iCloud and iTunes without connecting your iPhone to your computer. It supports devices such as iPhone 6S, 5S, 4S, iPad mini, iPad pro, iPod touch 5, iPod touch 4 and others.